People from every walk of life have found love and lasting relationships with Match. Using an algorithm that keeps your needs and desires in mind, the site connects you based on true compatibility. The best part? 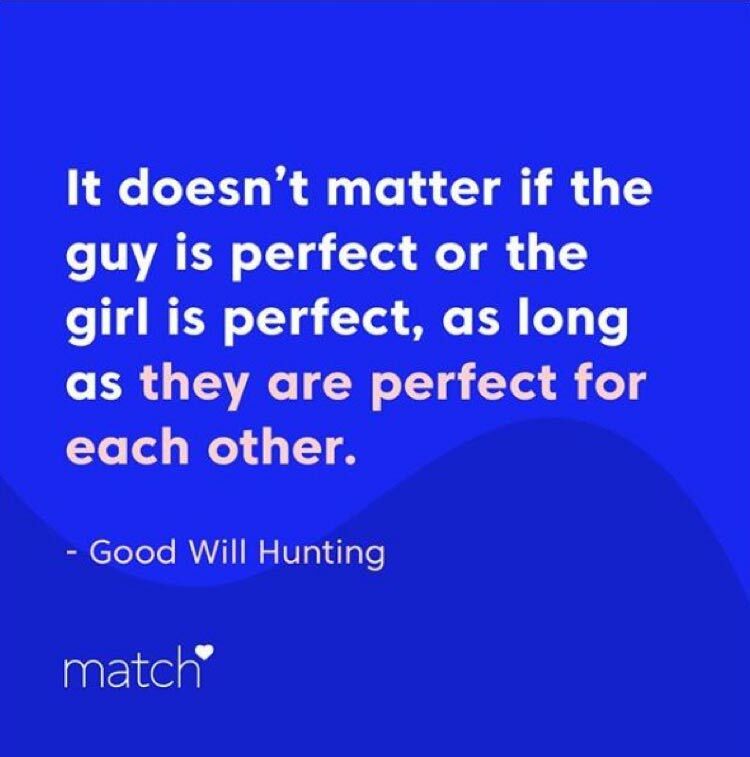 Match is so confident in its matchmaking abilities that if you don’t meet someone special during your 6-month subscription, you’ll get another 6 months for free. You can’t really go wrong with a love guarantee. You can sign up for Match for free, so you have nothing to lose. Signup is a process, though. Match asks you a lot of questions to get to know you and your preferences. This ensures that the matching algorithm delivers accurate results, so nobody wastes their time on irrelevant search results. The Daily Five is one of the most useful matchmaking options. This feature delivers 5 suitable matches every day based on your preferences. Match uses behavioral learning (just like Zoosk) to learn your preferences, based on your interactions and activity on the site. Then, it uses this information to make better match suggestions. The idea backing this technology is that we sometimes have preferences of which we aren't even aware. Let's say that you write on your profile that you are looking for white/Caucasian women. Yet, when searching, you constantly like Asian women. The algorithm will pick up on this innate preference of yours and start showing you some Asian women in your results to provide for the underlying preference. Match also has a quiz which lets you add up to 20 questions to your profile for other members to answer. It can help with compatibility and to getting to know one another. Match also has games you can play to promote positive, fun interaction between singles. 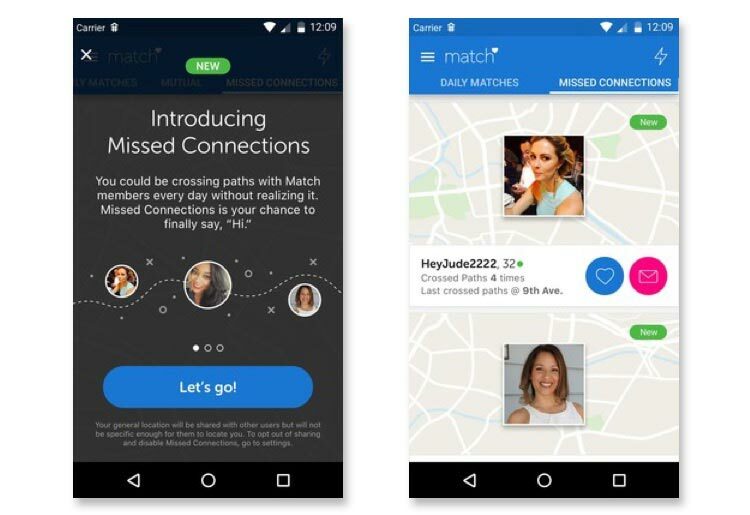 Match's Missed Connections feature lets users know when a possible match just recently left somewhere in their vicinity. The feature uses geolocation to find a user’s location and pair it with that of another Match user who has opted for the feature and fits their dating criteria. Members will get notified of the match and can choose whether or not to connect. In 2019, Match rolled out a new feature, the Lara Chat box. This is a well-branded live chat type of feature that helps new members get started. If you don't really know where to start on Match, Lara can walk you through the process. This friendly face chat box feature asks you basic questions and holds your hand while you get your bearings in this new system. Match makes safety a priority for all of its members and promotes safe dating practices on every front including messaging, connecting, and meeting in person. It has a full section on the site with pointers on how to stay safe while dating in the digital era. This includes videos and tips on protecting your finances, spotting suspicious behavior, and in-person meeting safety. It also promotes the NCSA standards of Stop Think Connect, an initiative that is striving to make cyber security stronger and safer for everyone.